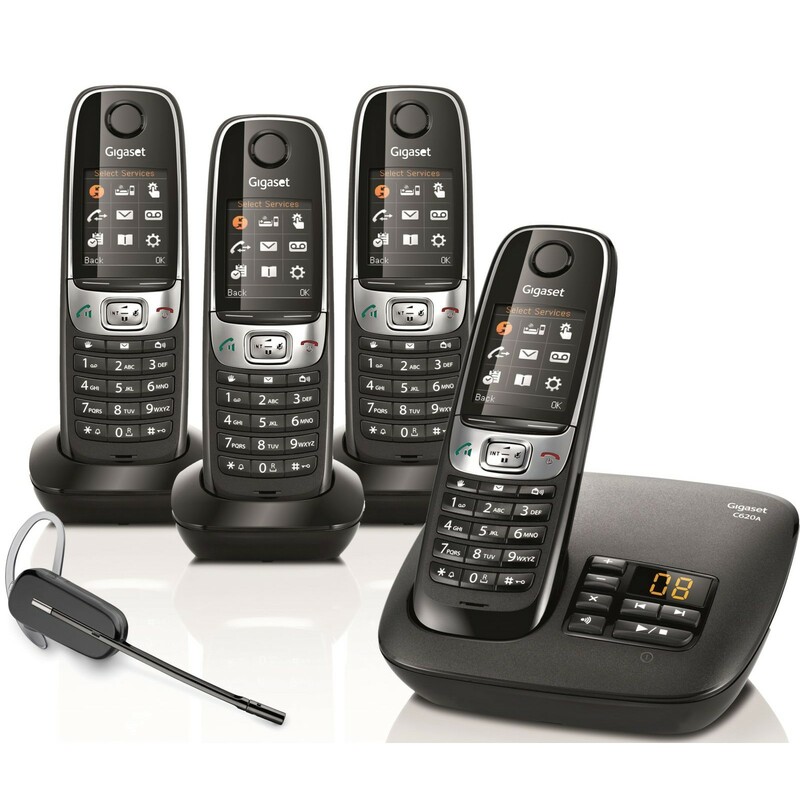 Featuring answering machines, 1.8" full-colour LCD screens and straightforward operation, this set of four Gigaset C620A cordless DECT phones also ship with Plantronics C565 headsets for convenient hands-free communication. Thanks to Gigaset's tried and tested high sound performance technology, the Gigaset C620A delivers excellent voice reproduction, even if you are using the built-in speakerphone. Other welcome features include time-controlled silencing and the option to use the phone as a baby monitor. 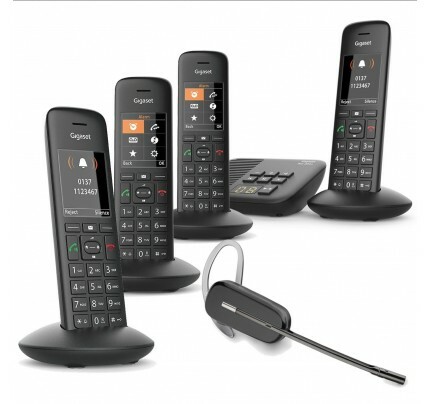 The Gigaset C620A is an excellent home for larger households and offices seeking the comfort and convenience of hands-free communication.